Just two short weeks before her eighth birthday in 2008, Cassidy Leigh Briggs was diagnosed with Hepatocellular Carcinoma, a very rare pediatric tumor. This diagnosis was the beginning of a tremendous battle that Cassidy fought bravely and determinedly until her death on January 11th, 2010. During Cassidy’s short life, she showed the community just how much a little girl had to offer the world. A lover of nature, Cassidy explored every creature big and small sharing her discoveries with those around her. Her eagerness to read opened up a whole world of imagination that lent itself to Cassidy engaging friends into the marvels that books held for them. Cassidy’s love for arts and crafts always found her in the midst of the most amazing creations. No time was left unspent – no job was left undone. Cassidy had a dream to make the world a better place. She used every experience as an opportunity to make things better. Through Cassidy’s incredible determination and amazing spirit, she became an inspiration for all those around her. Before her death, Cassidy was working to make life better for the patients at the B.C. Children’s Hospital. During many of her numerous stays at the hospital, she noticed that there was not enough for the children to do there as they worked at healing. Cassidy devised a plan to campaign the community for crafts for the hospital. Unfortunately, Cassidy passed away before her dream was a reality. Cassidy’s friends, schoolmates, teachers and family wanted to make Cassidy’s dream a reality. Cassidy’s friends, schoolmates, teachers and family wanted to make Cassidy’s dream a reality. 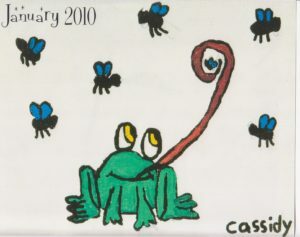 On April 12th, 2010, Cassidy’s Craft Campaign was launched with the hope of raising enough money and craft supplies to create a craft room at B.C. Children’s Hospital to support patients during their stay. 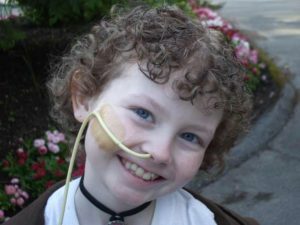 Now, Cassidy’s Craft Campaign has evolved into The Cassidy Briggs Endowment at BC Children’s Hospital. Donations can be sent to the “Cassidy Briggs Memorial Endowment for Oncology Arts & Crafts”. Inspired with by Think Profits.com Inc.